Established in 2010, Hair by Nelly is run by Nel Chapman, a professionally qualified and highly skilled hair stylist with 16 years’ salon experience. 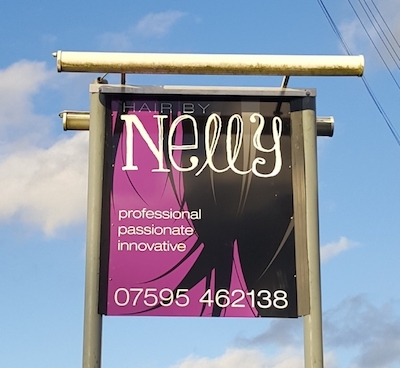 Nelly offers sensational, personal, and fabulous hair styling in a relaxing and friendly environment at Markfield, close to Leicester, just one minute from M1 J22. Hair by Nelly offers very special individual attention, creative innovative styling, laughter and fun. It’s a truly special salon experience! Nelly uses and retails the amazing environmentally-friendly Maria Nila (vegan), O’Right and Macadamia product ranges – kind to your hair and the planet too! Hairstyling is by appointment – see the contact details below. The salon is open Tuesdays through to Saturdays, including late evenings on Thursdays. Here is Hair by Nelly’s PRICE LIST.